HONOLULU (AP) — Lava flowing from a Hawaii volcano is inspiring innovative ideas from local students on how to deal with its effects. Students from Pahoa’s Hawaii Academy of Arts and Science came up with an idea for an air scrubber for volcanic smog, or vog. The scrubber pulls vog from the air with a fan and neutralizes acidity with a compound similar to baking soda. As of Monday, Pahoa’s ACE Hardware was selling parts for the scrubber for $100, the Honolulu Star-Advertiser reported (http://ow.ly/EpEc4 ). A scrubber assembled by the students goes for $150. The extra $50 will go to the Big Island school’s science, technology, engineering and math program to help fund future research. 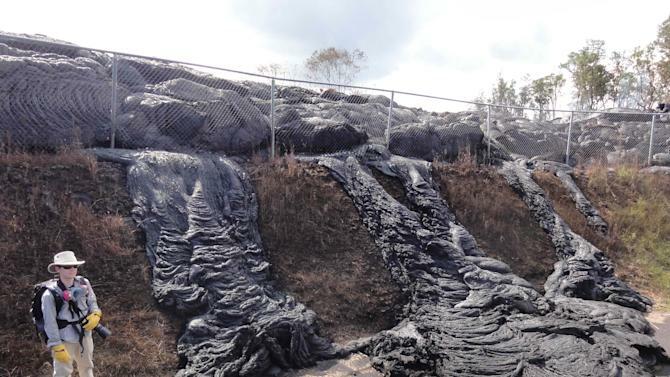 The students are in a small town threatened by the slow-moving lava, which entered Pahoa last month and burned down a house. “It feels good to be able to help our community,” student Logan Treaster said. The 17-year-old senior was personally affected by the vog when a classmate had to move away because of sensitivity to it. The flow hasn’t advanced since Saturday, Hawaii County Civil Defense said. Health officials previously advised people living near the lava to prepare for smoke from burning vegetation, along with low levels of sulfur dioxide. Residents with respiratory problems should take precautions and stay indoors, the civil defense agency said. “It smells like rotten eggs,” Treaster said of the odor that permeates the area almost daily. 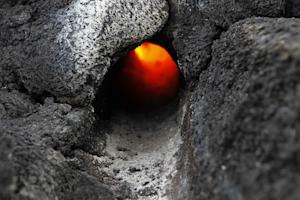 The students have come up with other lava-related ideas, including one similar to new technology a power company is using to protect poles in the flow’s path. They also have shared thoughts on a water-cooled bridge that would let drivers cross lava-covered roads.